Craving for Nyonya or Peranakan foods ? this place is probably what you're looking for. 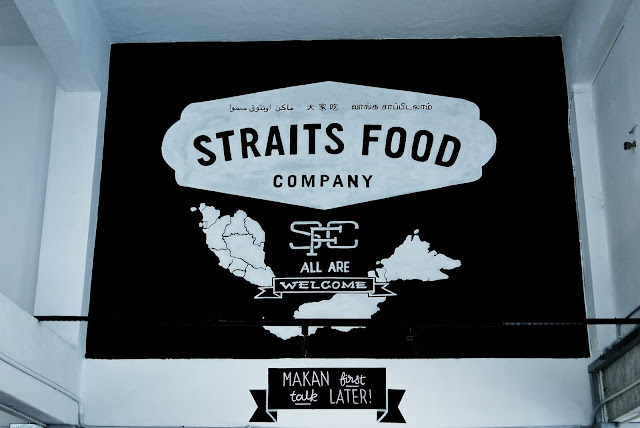 Located in the heart of downtown Kuala Lumpur, or exactly in Bangsar, Straits Food Company comes to you serving the Malaccan delicacies to you all. 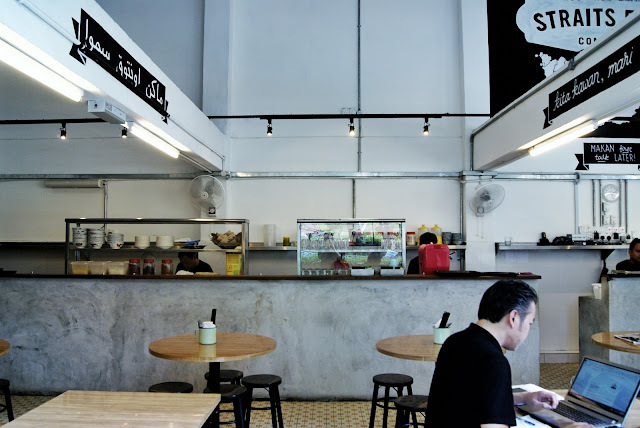 This place is like an oasis in KL for those who loves street foods and Nyonya dish, getting here is quite easy, just drop by Bangsar LRT station and it's just a minute away from there. 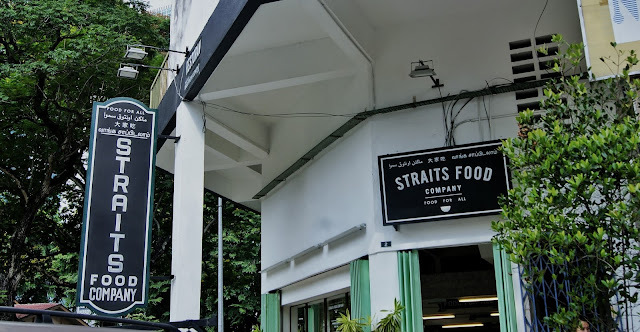 As you can see, Straits Food Company building comes with a blend of Malay and Chinese touch, it's like a common Kedai (Stall) that you can found all along the street in Malaka or Chinatown area in KL, and you can actually feel that ambiences when you're here. The interior of this place is very simple but somehow very chic and cozy with such a warm ambience, not to be mention even their place is like typical kedai but please do not underestimate the foods here, because they're really taking it seriously when it comes to food. 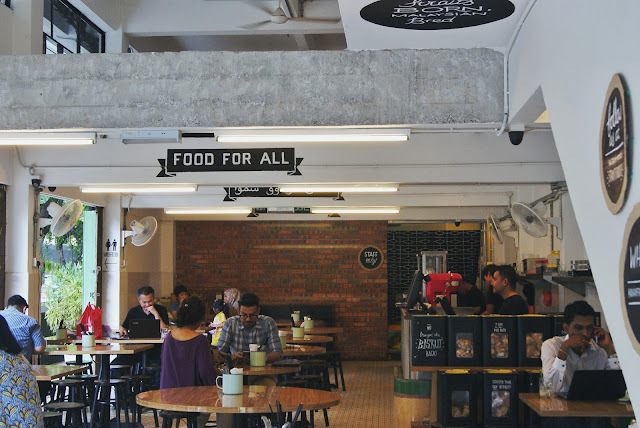 As their slogan is "Makan First, Talk Later" is prove that they're very serious with food quality here. On that day, i was like in the mood to try all their foods, and i happened to order their famous Nyonya Laksa, Pai Tee, and Ice Cendol, as my friend is order the Ayam Kunyit with rice and also the Ice Cendol. 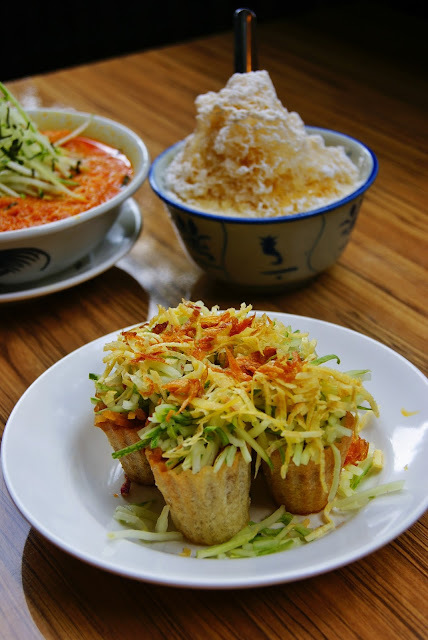 Pai Tee is like an open version of Popiah with crispier skin. The topping is actually almost the same with popiah with chopped vegies, egg strips, and fried shallot. 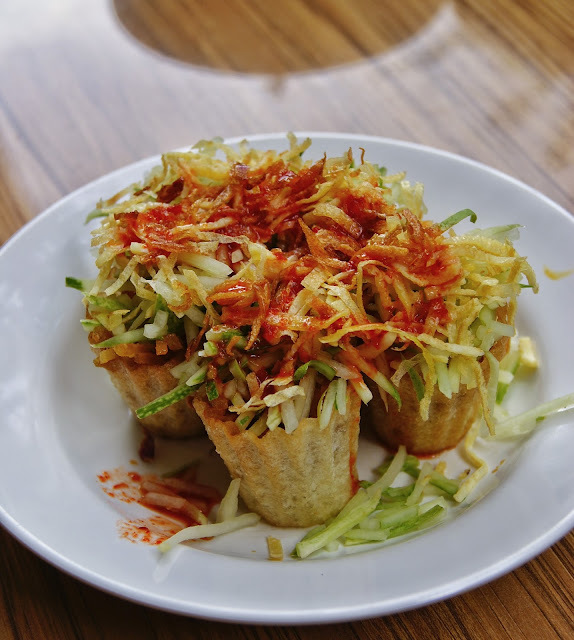 It comes with a chilli sauce which i found quite similar to cuko, the sauce for Pempek in Indonesia, it gives that nice sourness taste to the pai tee while the crispy skin gives really nice texture. Such a good way to enjoy appetizer. 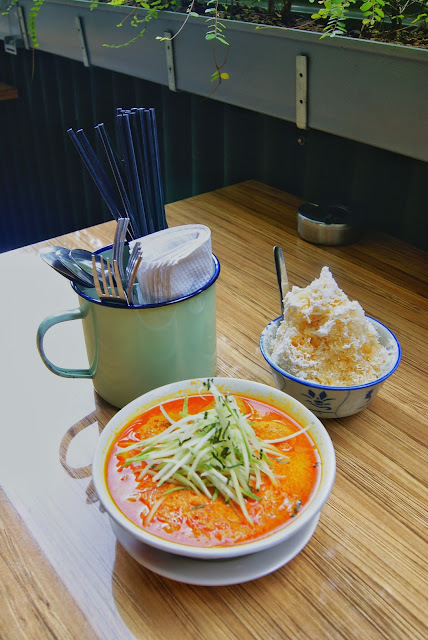 This was the best Nyonya Laksa i've tasted so far, i choose Mee Hoon as the noodle base which really match with the Laksa broth because Mee Hoon or Rice Noodle can stick together. I love the laksa is not too thick and also not too thin, the measure of the stock and coconut milk is just balanced. They give plenty of tofu, shrimp and boiled egg as the topping and put sheded cucumber on top. The tofu can absorbs the Laksa sauce very well and when you eat it, the sauce is burst in your mouth which was a total foodgasm for me. So far that was the loveliest part fo me and also the taste is remembered me to the taste of Opor Ayam but in spicy version btw. I don't give a taste to this one actually, but the Ayam Goreng Kunyit is taste similar to the common Ayam Goreng in Indonesia, this one was my friend's order and he likes it. 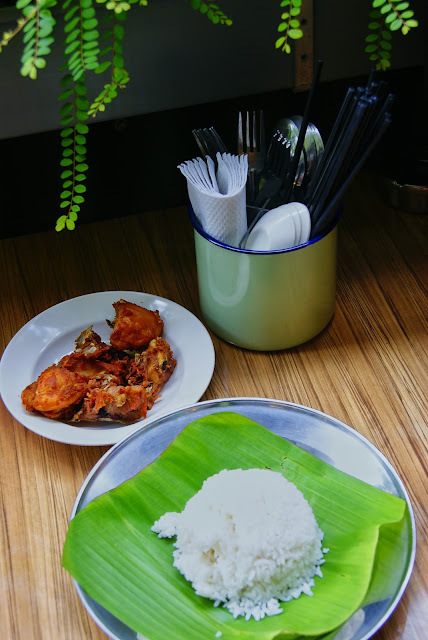 The Ayam Goreng was crispy and not too overcooked, but a lil bit salty for his liking, it could be better if they're serve it with sambal balacan. 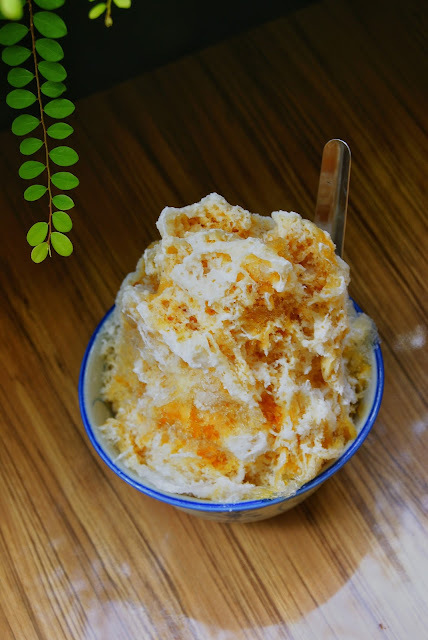 Who doesn't like Cendol ??? 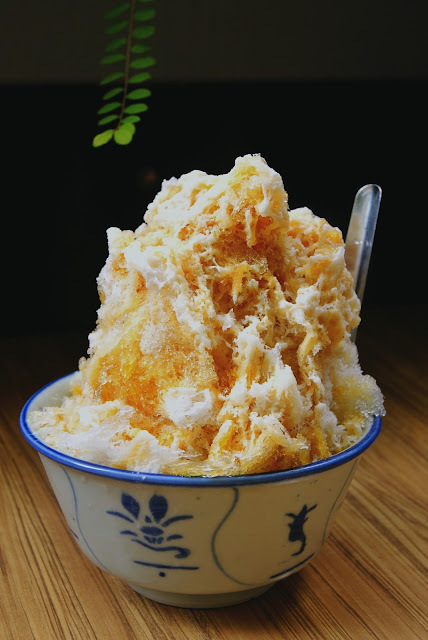 Cendol is very famous throughout Indonesia, Malaysia and Singapore, a tiny long shaped green rice cakes with Pandan flavor, topped with shaved ice and drizzled with coconut milk and Gula Melaka or Gula Jawa. Cendol is best served in a hot day like this, if only they give more Cendol on it and add some Jackfruits and Avocado, but overall it really freshen up my day. 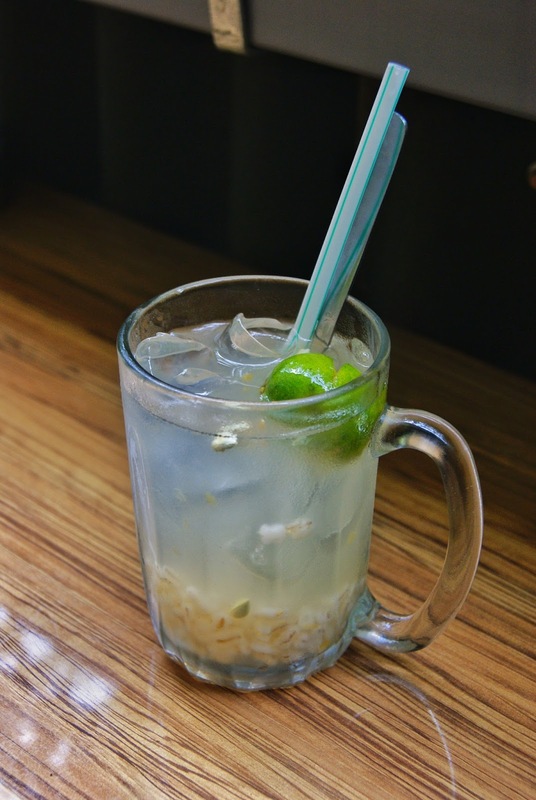 This one is a regular lime ice with barley, but somehow it very refreshing for me. The barley gives a texture and some chewiness. My visit to this place really give me a nice Malaccan experience, Peranakan or Nyonya style dish is really my comfort food. 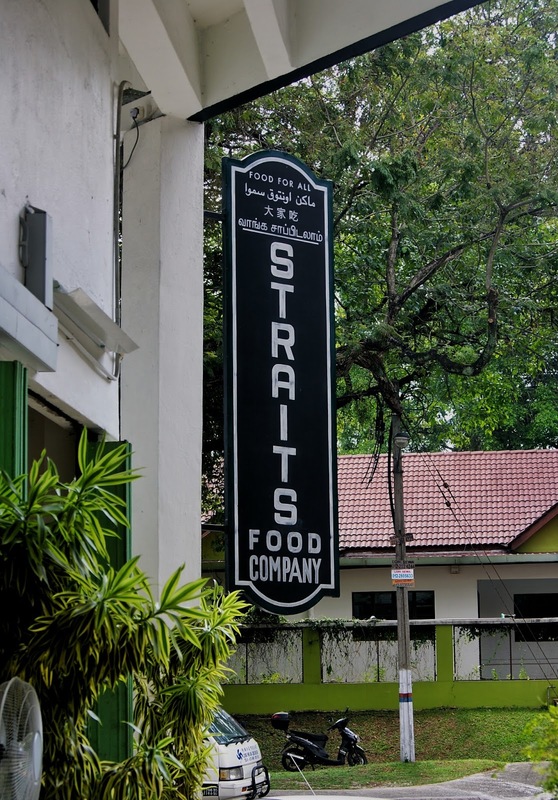 I'm definitely in love with their food, compare to the price it was a really worth to visit restaurant for you guys, you can have a good quality food with such a good price. I will probably come back again to try more of goodness here. See you on the next post.